Remove the Nembol signature “Published via Nembol” from all of your future listings. Enter the same email address you used in Nembol. You will receive a confirmation email shortly after submitting the order. This is a recurring payment and your card will be charged every month. Do I have to pay to use Nembol? You can use the Nembol mobile app to create product listings and publish on many websites at once, for free. Nembol Web for desktop computer starts at a $39 monthly fee and features such as multi-variant and product import. Published listings will feature "Published via Nembol" at the bottom of the listing. You can remove it by subscribing to Nembol Unbranded. When and how will I be charged for Nembol Unbranded? Your credit card will be charged on the same date every month (e.g. the 15th). If you purchase Unbranded on the 31st, you will simply be charged at the end of the following month. Why do listings normally include "Happily published via Nembol"? We like to think Nembol has a mutually beneficial relationship with its users. Nembol helps you succeed by offering a multi-channel publishing tool that maximizes your selling potential. 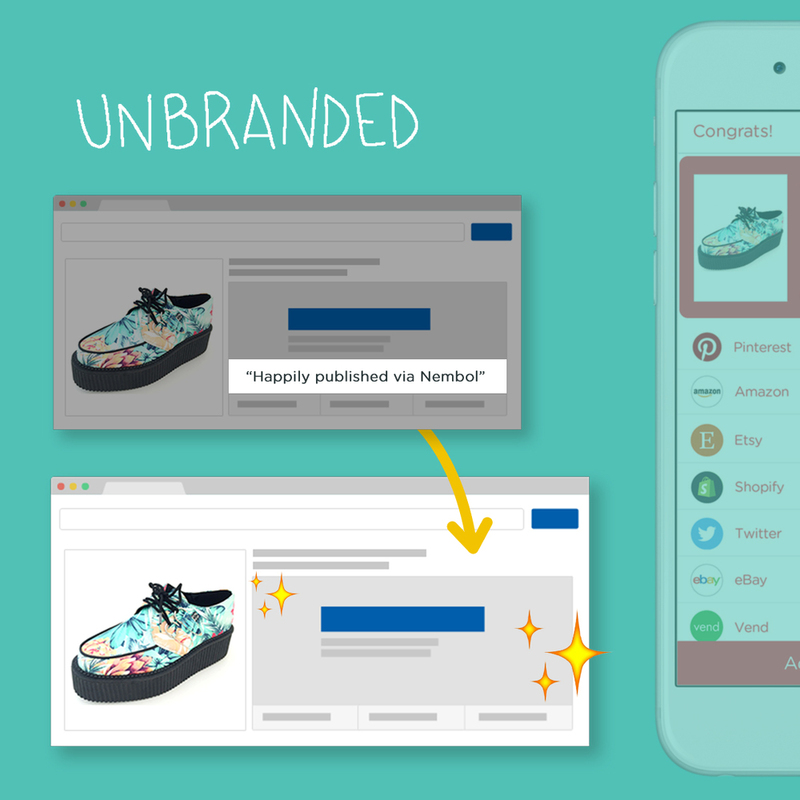 You help Nembol succeed by telling the world that you published your amazing items using our nifty app! Just shoot us an email! We’ll be happy to fulfil your request within 24 hours Mon - Fri.